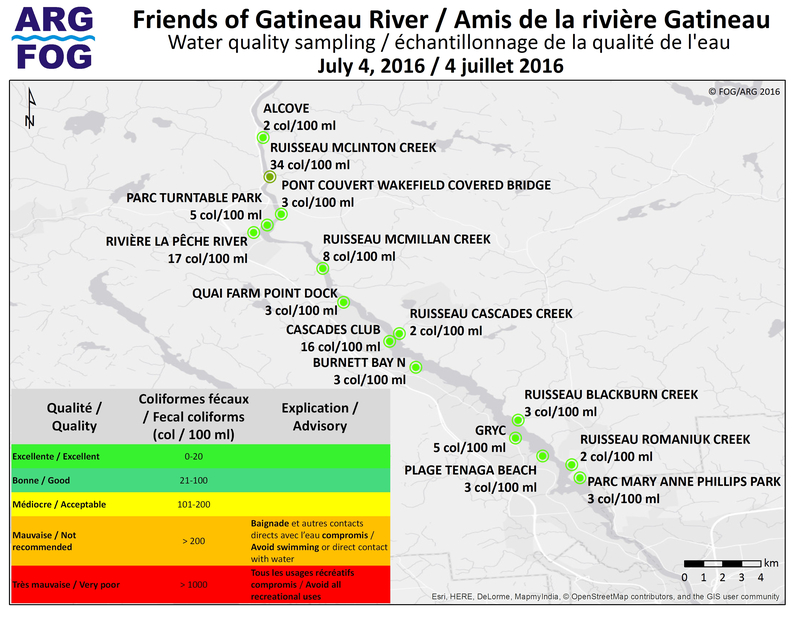 FOG conducts water quality monitoring of the Gatineau River as a public service with support from the municipalities of La Pêche, Cantley and Chelsea and clubs and associations that use the river for recreational purposes. The testing takes place once a month during the summer months. 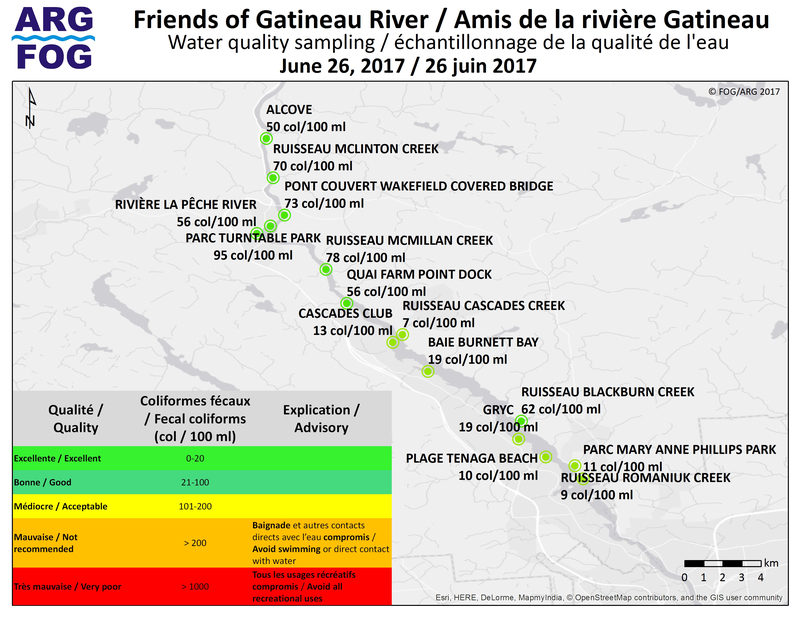 In undertaking the tests, FOG respects the standards established by the Québec Ministry of the Environment. An “A” rating – excellent for recreational purposes, is between 0 and 20 coliforms per 100ml, “B” – good is between 21 and 100 coliforms per 100ml, “C” – acceptable is between 100 and 199 coliforms per 100 ml and “D” – not recommended above 200 coliforms per 100ml. 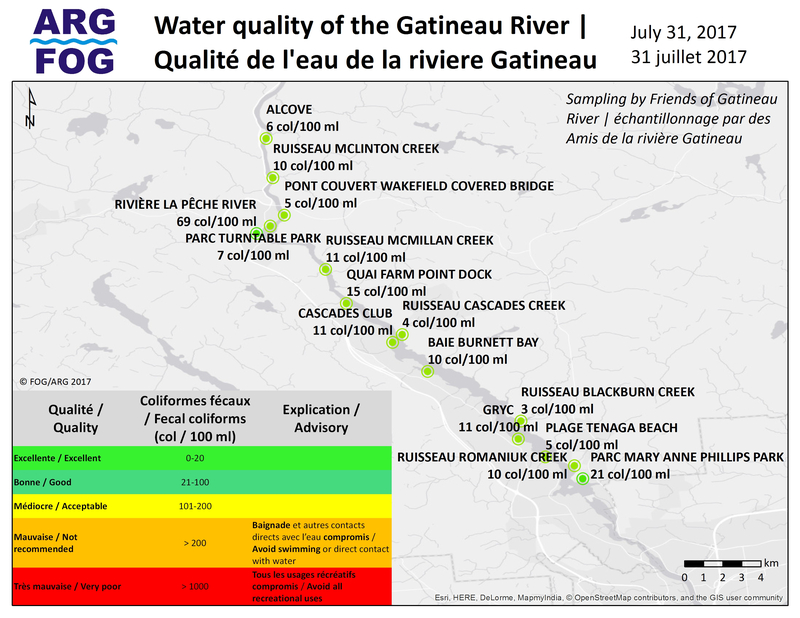 Analysis is done by MicroB, a Québec government certified laboratory in Gatineau.